Right common and external iliac arteries are occluded. 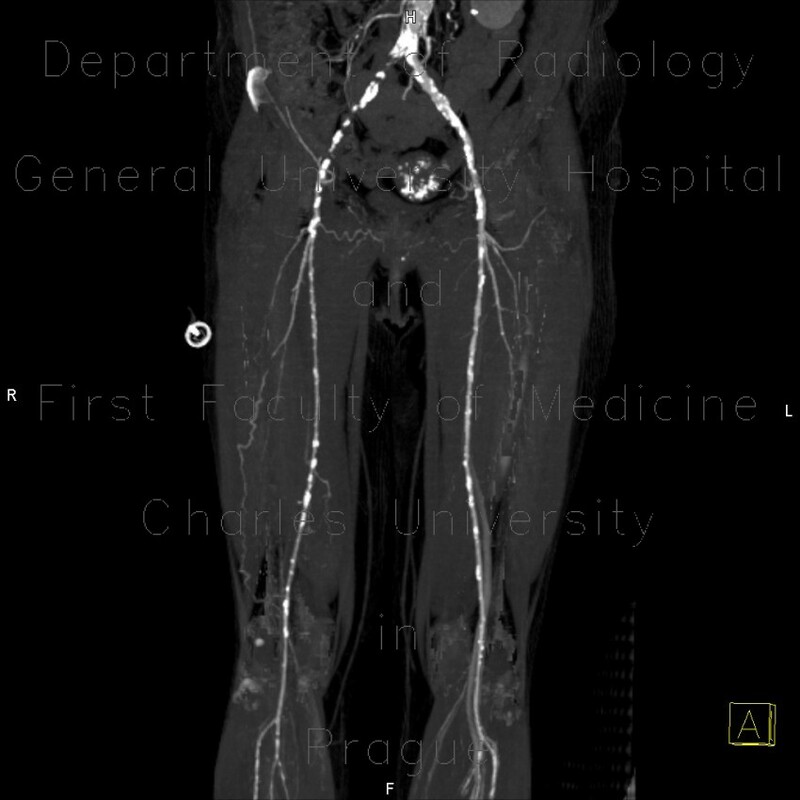 Collateral blood flow to the femoral artery via superficial circumflex iliac artery. Advanced atherosclerotic changes of the vessels. Calcifications in uterine fibroid.